210: Launching a Blog: How Many Posts Do You Need? Today, I want to answer a question almost every blogger asks when they start blogging: How many posts should I have live before I launch my blog? It’s a common question I get, and while I’ve mentioned a few approaches in other episodes today I’m tackling the topic specifically. So if you’re starting a blog for the first time, or thinking of starting a second blog, this podcast is for you. In today’s episode, I want to talk about a question that I get asked quite regularly from readers of ProBlogger. In fact, it’s a question that all of us, bloggers, at one point or another ask ourselves, particularly when we’re starting our blog. The questions is this: “How many posts should I have live before I launch?” This is one of those common questions I get asked, and I have mentioned a few different approaches to this in previous episodes. Today I want to tackle that specifically as an episode. My view on this has changed slightly over the years, maybe slightly different from what you heard me talk about in the past. I’ll tell you a little bit more about why I’ve changed that as the show goes on. If you’re starting a blog for the first time, or if you’re thinking of starting a second one, today’s episode is for you. You can find today’s show notes at problogger.com/podcast/210. Before I get into today’s teaching, two things I want to mention very briefly. Firstly, if you haven’t already joined our Facebook group, head over to problogger.com/group where there is almost 9,000 bloggers who are coming together every day to talk about their challenges, the wins that they’re having, the things that they’re learning and to ask questions as well. If you’ve got tips to share, or if you’ve got questions to ask, head over to problogger.com/group and answer the questions that we ask you to answer as you apply. That helps us to approve you faster. The second thing I’ll mention just briefly is that I will be in Dallas co-hosting a special event for ProBlogger readers and listeners on the 24th and 25th of October. The event is called Success Incubator. It’s going to be a day and a half which we are packing, literally we’re packing every minute of this day, particularly on the first day and then the second half day. We’re teaching for bloggers and for online entrepreneurs. We’ve got speakers like myself, Pat Flynn, Kim Garst, Rachel Miller who you heard in the last episode about Facebook, Andrea Vahl, Steve Chou, Kim Sorgius and many more speakers as well. You’ll hear some of those speakers in upcoming episodes of this podcast as well. If you want to grab a ticket for that event, they are limited. Head over to problogger.com/success. That’s an event that I’m co-hosting in Dallas on the 24th and 25th of October and I would love to see you there. Again, show notes today at problogger.com/podcast/210 and I hope you enjoy what I’ve got for you today. 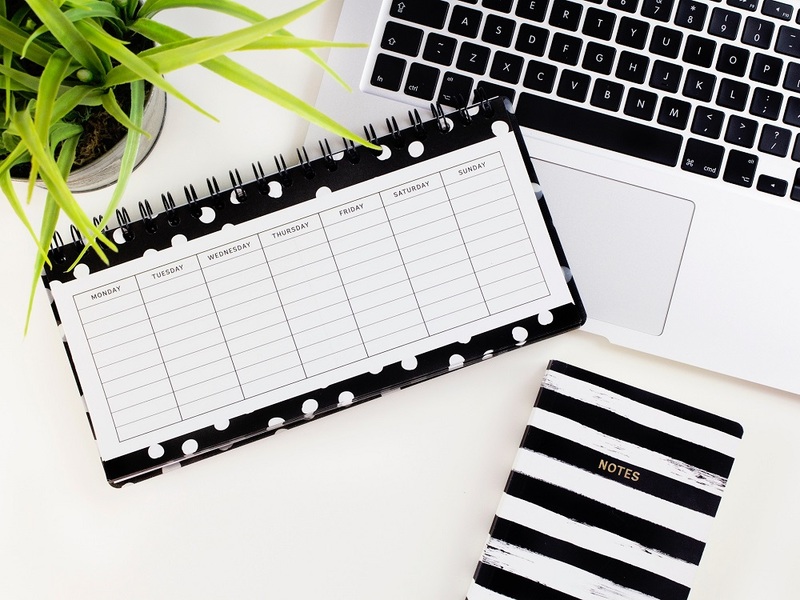 The question of the day is, “How many posts should I have live before I launch my blog?” There are a few different thoughts that I want to run through today. The first one is that there is no right or wrong answer here, as is the case with many of the topics that we cover here. I can think of numerous successful bloggers who have taken extremely different approaches on their launch. In fact, I’ve had direct involvement with a few different blogs that take all kinds of different approaches. I’ll mention some of them today. Your launch doesn’t define whether your blog is going to be successful and I’ll come back to finish on that topic today. I think it’s really important not to get so caught up on getting this perfect because sometimes that actually stops you from launching altogether. There are definitely some pros and cons for each of the approaches. It probably partly comes down to your personality type and what’s going to help you to get your blog launched. Some people just need to publish something and launch so that it gets done, while others are probably a little bit more strategic in their personality and arrive with a push through, getting a little bit more done before they hit launch. There’s no right answer here. It’s going to come down partly to your situation, partly to your personality type as well, maybe even your topic which I’ll touch on in a moment too. Let’s look at the two main approaches and talk about the pros and cons of each. The first approach is where you just launch it already. This is what most bloggers do, I suspect. If I was to do a survey of the listeners of this podcast, I’ll suspect most of us do this first approach. This is what I’ve done in most occasions when I’ve launched a blog too. I think back to my first blog, back in November 2002, it all happened very, very quickly. Massively impulsive actions from me on that particular day. I learned what a blog was and an hour later, I’d set one up and by the end of the day I’ve written a post and I’d spammed all my friends and family telling them about it. It was live. I was on the way as a blogger. Now there’s massive positives for me in doing it this way. I got it launched, that is the big positive for me. If I’ve been too strategic on that day, if I’d put too much time into thinking about what niche should my blog be about and mapping out an editorial calendar and thinking about all the topics and agonizing over writing a series of perfect launched posts, I would never have gotten it launched. It’s just not in my nature to put that much planning and forethought into it. I’m a spontaneous person, I’m an INFP on the mind brings personality type. I think that probably is a perfect way for me, as that type of personality, to launch a blog. I needed to go with the flow, I needed to launch it and get it out there because by launching it, getting it out there, having people see it, respond to it, that gave me energy for my next post. My next posts were better because I got it out there really quickly. I know many bloggers who really need to take this approach because they’re the type of people that if I take too long thinking about it and planning it, it will never get launched. If you’re the type of person, maybe you’re a perfectionist and you know that if you allow yourself to get perfectionist about your launch, you’ll never get it launched. Maybe you’re the type of person who needs to get something out there and then evolve it, get some response to it. Once it’s live, that’s going to give you energy. Certain types of personalities, that’s just going to be much better. There are the positives of that for me. The negatives of this approach, of just launching it with one post, is that there is potential for not really capitalizing on that initial rush of visitors. Not that there’s probably going to be thousands of visitors, but those visitors that come, your friends and your family or your network, if that first post isn’t just right, then there’s some potential downsides of that. In my case, as I look back on that first post, not that it’s live on the internet anymore because that blog doesn’t exist. That first post was me simply saying I’ve started blogging. I put no thought into it, I didn’t really know what blogging was. In hindsight, it was a very dull way to start a blog and it really wasn’t the type of post that would’ve inspired anyone to want to follow that blog at all. It was just me saying here’s a blog. If I was taking this approach today with launching a blog and I just wanted to launch with one post, I would be making that post as useful as it possibly can be, a really solid piece of content that sets the tone for what the blog will be about going forward. That will give people a sense of curiosity and leave people thirsting for more of the type of content. You really want to make sure that that post is high value, that it’s useful, that it’s in some way going to change those first reader’s lives in some way. An evergreen piece of content or something that we might call pillar stone or corner stone piece of content, or pillar content. In some ways this is what I actually did do when I started Digital Photography School. Before I launched Digital Photography School, I’d mapped out quite a few posts that I wanted to write. I think I actually brainstormed a list of 50 posts that I could write, and then I wrote my first post and published it. And then I told the world about it, I told my networks about it, I told my friends about it. That particular blog, Digital Photography School, went live with one post. But I already planned the next post and the first post that went live, it wasn’t a “I started a blog”, it wasn’t a welcome post, it was a tutorial. It set the tone, it showed the world, those first readers who came, what that blog was going to be about. Not by telling them what it would be about but actually showing them the type of content that it would be. The first post was a tutorial and that’s what every post since then has been as well. I set the tone with that first useful piece of content. If I was to take this one-post launch strategy again, I will be starting with high value content. I wouldn’t be starting with a welcome to my blog type post. I would start with that useful piece of content. You might weave into that first post, a welcome, you might say welcome to my new blog. Let’s start with a tutorial on this or whatever it is that you are going to go on with. Don’t make that first post if you’re only launching with one welcome post. The second approach is where you launch your blog with a few pieces of content already live. This is how Vanessa, my wife, launched her blog Style & Shenanigans. From memory, her blog went live on its first day before she told her all friends about it with three pieces of content already published. The first one was a welcome post. This is where you can write a welcome post. I think it’s totally fine to do a welcome post and to talk about what the blog is going to be about. But if that’s the only piece of content you go live with, that’s probably not a good thing. But Vanessa put that out there with two other pieces of content. The two other posts that she published on that first day were useful pieces of content that set the tone for her blog and the two topics that she wrote about were the two main categories of her blog. If you’ve visited Vanessa’s blog, it’s called Style & Shenanigans. It’s about being stylish but also being a parent and the tension between those two things at times. The first post was a fashion post, it was about style. It was something about clothes, from memory. The second post was about travelling with kids, going to a particular area in the state that we live in. Those two themes were there right from the start. Kids, being a parent, and also style and fashion. Her first day of launch had a taste of what was to come as well as that welcome post. I think that was a really nice way to start her blog. Because anyone showing up on her blog on that day got a taste for what was to come, they saw that it wasn’t just about fashion, it wasn’t just about being a parent, it was about a variety of things. In her welcome post she actually mentioned some of the other topics that she wanted to explore as well. She also had a few other posts that she’d already written on day one as well but she hadn’t published them yet. They sat there in her drafts. I think from memory, her first week of publishing, she actually published five or six posts. She had almost a daily post coming out. All of those first posts were already written. I think that’s also a very smart way to go about it too, because in that first week, you do need to spend some time promoting and responding to comments that are left. It can be a tough time to write content because you are still getting used to promoting your content and trying to work out how to moderate comments and all those types of things. Having those posts there in reserve was really useful. She just had to hit publish on those posts to get that back content going. That enabled her to also build a bit of momentum on that first week as well. There was a daily post and she actually scaled that back after the first week. She went back after the first week to three posts a week. That’s what she’s done ever since. Start with a bit of a bang and then scaled it back a little bit. The positives of this type of approach is that when people did come on that first day, they saw it wasn’t just a fashion blog, it wasn’t just a blog about parenting, it gave them a taste of what was to come as well. It also showed them that there was a few things that they could dig around and have a look at. Sometimes if you launch a blog with just one post, if that post isn’t perfect for the person who does come to your blog, there’s nothing else for them to go on and read. By having two or three posts there, it did give her readers a few things to do. They were hanging around, taking in the brand, taking in the idea of the blogger a little bit longer as well. I really liked her having those extra posts ready to go. The negative of this type of approach, of having more than one post already published, is firstly, there is more work involved in that. She had to write three posts before she hit launch and she actually had those other posts already written as well. Five or six posts already written, that’s a fair bit of work, particularly when you’re a new blogger and you’re not used to producing content. That could have killed her enthusiasm, it could have stopped the momentum before she even started. However, in Vanessa’s case, she is an incredibly driven person, she’s very disciplined and she’s a strategic planner type of person as well. Again, it suited her personality type to do that. She wasn’t going to allow that work to stop her from launching. It didn’t hold her back. I guess the other negative of starting with more than one post is that, if you start with too many posts, people are less likely to see all of the posts that you’ve written. It does take time and energy to write a blog post and to launch with three. It might reduce the chances of people reading all of those three. In some ways, you might be investing time into writing content that not everyone is going to see. Maybe there’s a negative there. There are the two main approaches: launch with one, launch with more than one. I guess there’s no real other alternative there. I will mention a third approach. This is something that I did when I launched ProBlogger. ProBlogger was a little bit different because I actually started writing about blogging and making money from blogs on a previous blog to ProBlogger. My first personal blog had about 30 categories. One of those categories was blogging. I wrote on that first personal blog even back in 2003, 2002, I started to write about my journey in making money from blogging. That blogging category already had 30 or so posts in it on my personal blog. When I launched ProBlogger, what I did is I took the best of that content, the evergreen content from my old blog and I put it onto ProBlogger. ProBlogger actually launched with about 60 posts. I’d written 60 posts on that topic. When I launched ProBlogger, I had those 60 posts there. What I did in the old blog, the post that I had taken to put into ProBlogger, I set up redirect. If anyone landed on those posts on my old URL, that will redirect them into the new ProBlogger. I don’t think I would ever launch a blog with 60 posts ever again. But there were some advantages of doing it. Firstly, traffic began to flow very quickly over into ProBlogger because of those redirects that I’d set up. That was a good thing if you do have a personal blog and you do want to take a category and launch it. I would definitely recommend setting up some redirects because you will get some traffic across into those archives straight away. Also, when people arrived on ProBlogger from day one, the new readers who never come across me before who might have randomly showed up on my blog, it actually looked pretty comprehensive. They arrived on this brand new blog and suddenly there were 60 articles there. It looked like I’d already been around for a while. That helped to build some credibility quickly, as well. I do remember, on the first day of that blog, some readers leaving comments saying, “Wow! You know a lot about this topic.” And, “I’ve never heard of you before, but wow.” It did create an impression, having more posts up there. I guess the downside of that is that not all those posts got read. Those new readers who came, 60 posts is a lot of content to read through on the first day of a blog. A lot of that content didn’t get read by the new readers as well. Sixty was probably overkill on that front. But because I’d already written it, they were already sitting there on another blog, it didn’t really cost me any extra time to do that. There are few different approaches for you. Which one’s right for you? As I hinted earlier, it’s probably going to come partly down to your personality type. If you’re like me, you’re a spontaneous person, you’re energized by seeing something launched, then maybe launching with one post is good. If you’re a perfectionist who might get held back from actually launching at all because you feel like your launch has to be perfect, maybe you just want to launch something that’s not perfect then just get something out there to get over that hump that might hold you back. A one post launch might be a good thing for you. If you’re a driven person, if you’re a disciplined person, somebody who likes to just be strategic, someone who likes to plan things out, that actually might give you more energy. Maybe having some posts already published, and having others already written, like Vanessa did, is the right approach for you. Also, if you have a blog that’s got lots of topics or a breadth of topics like Vanessa’s, it might be worth launching with two or three posts as well to give your readers a taste for the different things that are going to come as well. The key though, whichever approach you take, is to make that first post or those first posts as useful and amazing as they can be. Use your first post to set the tone, to show that you know what you’re writing about. And to serve your readers, make them useful. Do something in that first post or those first posts that’s going to change your first readers’ lives some way. This is what’s going to make an impression upon them and this is what’s going to make them want to come back again and again. That is the key to this, whatever approach you take. The last thing I’ll say, if you are still stewing over these decision, maybe you’re going “I still don’t know which way to go”. The last thing I’ll say to you is that ultimately, it doesn’t really matter. I’ve never ever heard a blogger who talked about having major regrets on how many posts they had live on the first day of their live. I’ve never heard anyone complain that they did the wrong thing and most bloggers look back on those first posts and they cringe a little at the awkwardness of their writing or maybe they were a bit naïve, maybe they made some mistakes but most bloggers give little thought to that first day after it actually happens. What really matters is what you do after the launch. That’s what’s so much more important. It’s what comes next after the launch. Don’t let this decision hold you back, and don’t let it stress you out. It’s what comes next that really matters, it’s the consistent publishing of new content after your launch, it’s the efforts you put into promoting that content, it’s the way in which you engage with the readers who come to your blog, but ultimately that’s what really matters. It’s not what happens on day one. Don’t let this decision hold you back, don’t let it stress you out too much. I’d much prefer you put something out there to launch, throw yourself into it and then get on with blogging. That’s what really matters. Actually, launch something, and then get on with blogging. I hope you find that this is useful. Again, you can find today’s show notes where you can leave a comment and let us know what you did or what you will do defiantly over at problogger.com/podcast/210 or over in the Facebook group. If you want to head over to problogger.com/group, you’ll be redirected into the group where we do discuss every show that comes out on the podcast. Lastly, if you’ve got a moment and you would like to give us a review on iTunes, it does help us to get our word out about the ProBlogger show to the wider audience and a five-star review certainly helps. It gives me a little bit of a buzz as well, but also spend a moment or two and let us know what you like about the ProBlogger podcast as well. That does help others to join in on the fun but also gives me the feedback that I need to make this show better for you as well. Thanks for listening today and I’ll be back in touch with you next week on the 211th episode of the ProBlogger Podcast. If you’re still here and you’re looking for something else to do, head back to the last couple of shows, 209 was one of my favorite episodes. I interviewed Rachel Miller, who is one of the speakers at the Dallas event. She talked to us about five things you can do on your Facebook page that don’t cost you a cent, that will bring more engagement to help you to get more organic reach. Back in Episode 208, I did a bit of a tour of my smartphone and iPad and talked about some of the apps that I love and that helped me in my blogging. The other thing you might want to go and have a look at is the Facebook Live that I recorded last week on the ProBlogger page. I’ll link to it in today’s show notes. In that, I talked about one of those apps that I talked about in Episode 208, Adobe Spark. I actually illustrate how I use Adobe Spark to create social graphics and also videos. If you want to check out that Facebook Live, I will link to that on the show notes as well. Again, today’s show notes, problogger.com/podcast/210. Dig around in the archives, head over to iTunes and dig around. There’s plenty of episodes there and I’d love to get your feedback on those as well. Thanks for listening. Before I go, I want to give a big shout out and say thank you to Craig Hewitt and the team at Podcast Motor who’s been editing all of our podcasts for some time now. Podcast Motor have a great range of services for podcasters at all levels. 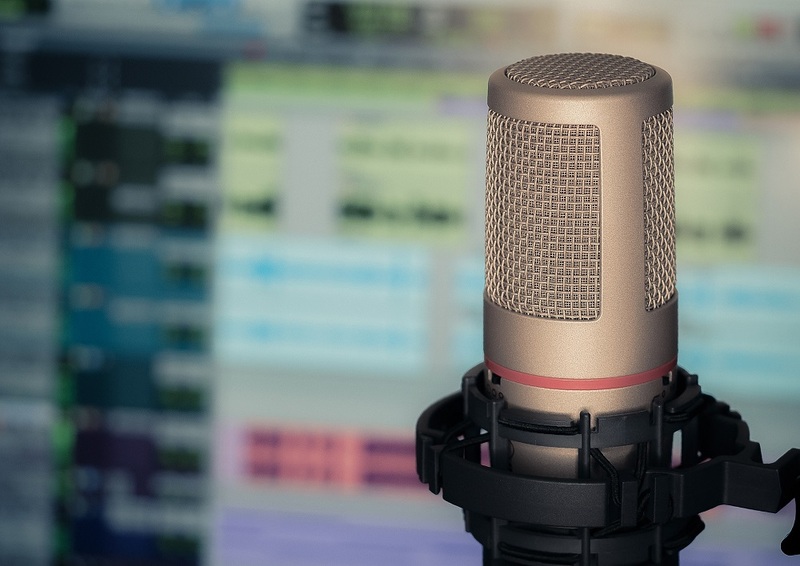 They can help you set up your podcast but also offer a couple of excellent services to help you to edit your shows and get them up with great show notes. Check them out at podcastmotor.com. Thanks for listening, chat with you next week.